Israeli drone maker, Airobotics, was recently granted the word’s first certificate to fly a fully automated drone. While self-flying drones have been used before the quadcopter, Optimus, is the first drone to automate the entire flight. Optimus can carry 2.2 lbs for 30 minutes at 36 kilometers per hour. The drone takes off, flies and lands missions on demand or prescheduled missions through a three-part system – Optimus, a large, high capacity drone, the airbase docking station which is capable of launching and landing the drone with no human interaction, and the cloud-based software which enables users to manage and control missions. The drone can carry sensors, lasers, and cameras. 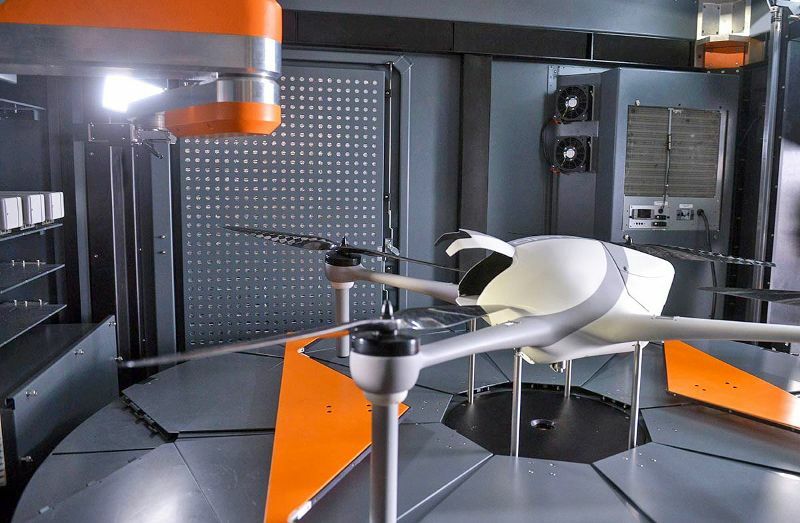 Airobotics is hoping the drone will be used in industrial facilities, power plants, fabrications facilities, oil and gas facilities, mines, power plants, and delivery companies. Optimus uses software that is both a complete operating system and an open platform, making it versatile enough to work in this vast array of industries. This entry was posted in Drones and tagged drone, New Drone.